Every mechanic needs a good torque wrench; in fact it should be one of the first tools you buy. While beam type torque wrenches are inexpensive, they can be a nightmare when trying to read anything over 25 ft lbs. 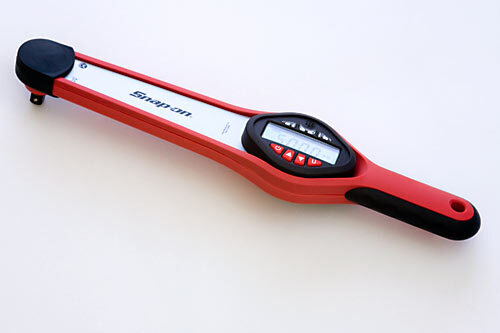 Snap-On has a digital torque wrench that is accurate up to +/- 1% from 20% to 100% of full scale in both directions. It provides a 5.0 – 50.0 ft lb torquing range, that can be displayed in 4 units of measurement on the same torque wrench: in. lb., ft. lb., Nâ€¢m, Kgâ€¢cm with the touch of a button. With a 3 step LED visual signal system: Over torque alarm (Red), Approaching target warning signal when getting close (Yellow at 90% of target), and Target achieved signal when desired torque is obtained (Green). A secondary audible alarm goes off when desired torque is reached making proper torque a cinch. 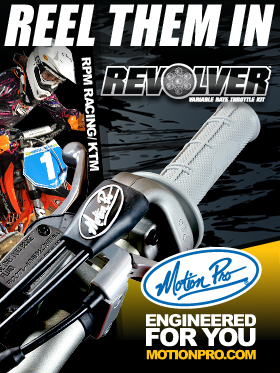 This wrench is so cool you will want re-torque every fastener on your bike the moment you get it! Gets this torque wrench at the Snap-On website.